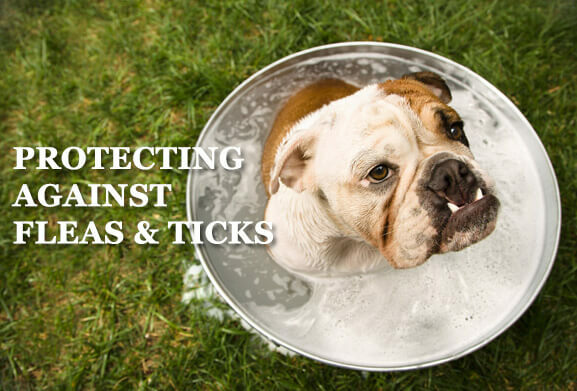 Are You Taking the Right Steps to Protect Your Pet from Fleas & Ticks? With the beautiful spring weather upon us, many pets are spending more time outdoors. This is wonderful for pets, as well as their owners, but it also exposes your dog or cat to common pests like fleas and ticks. In order to keep your furry friend healthy and happy, you must maintain a clean and safe environment and pay close attention to any abnormal signs. It is also important to bring your pet for regular annual or semi-annual checkups. Fleas and ticks might seem like a mere nuisance and not cause for concern, but they can pose serious health risks for your pets. It is important to understand each of these conditions, including how to identify symptoms, the causes, the risks and the appropriate interventions. Anemia is a deficiency of red blood cells in dogs or cats. It is often caused by fleas, ticks, and hookworms, to which your pet can become exposed as they spend more time outdoors in the spring and summer months. Tapeworms grow in your pet’s intestines, and, if left untreated, can obstruct digestion, leading to serious health problems. Tapeworms compete for the nutrients your pet needs to survive. Fleas can transfer Tapeworm eggs into an animal’s digestive tract. Some types of tapeworms can be transmitted to humans; so proper treatment and prevention protects your family as well as your pet. The bacteria associated with Lyme disease, Borrelia Burgdorferi, can be fatal to your pet. The main tick that carries Lyme disease is the deer tick (or black-legged tick), but other types of ticks can also be carriers. Sore, stiff joints, particularly in front legs. 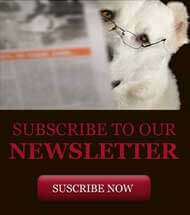 Lyme disease can be treatable but the earlier it is caught the better the prognosis for the pet. Erlichia is another bacterial infection that can be carried by ticks, particularly the brown dog tick and the lone star tick. As with Lyme disease, Erlichia is also a risk for humans. It may sound cliché, but the best way to keep your pet safe from all of the diseases associated with fleas and ticks is to prevent them from being transmitted in the first place. Have your pet checked by a vet regularly to identify signs early on. Enjoy the outdoors this summer, and remember to keep your pet safe!